A daring dacoity was committed in a house belonging to one Rezaul Karim Reza of Nur Masjid Road within the Ward No. 01 under Bagerhat Pourashava on Thursday in broad daylight. In this connection a case was lodged with Bagerhat Sadar Model PS. It is stated in the case that on the day at about 10 am the house owner, his wife and daughter left the house in order to pay a visit to the house of his father-in-law in Bagerhat district town. Taking the opportunity a number of miscreants raided the house, opened its collapsible gate after breaking locks. Then they entered the house and decamped with 8 Tolas gold ornament worth Tk.4 lakh and cash Tk.1.56 lakh. When the house owner returned to the house at about 2-30 pm he found that the collapsible gate was opened and its locks were broken. When contacted Mahatab Uddin, Officer-in-charge of the Model PS told that in that connection a case was registered with the PS and legal action would be taken after a proper investigation was done into the matter. GAIBANDHA: A Shahid Minar was inaugurated on the ground of Doulatannesa Khatun Anandalok School at Prodhaner Bazar under Gidari union of Sadar upazila here on Saturday. Deputy Commissioner (DC) Abdul Matin inaugurated the Shadid Minar on the school premises at 10.30 am and paid homage to the language martyred. 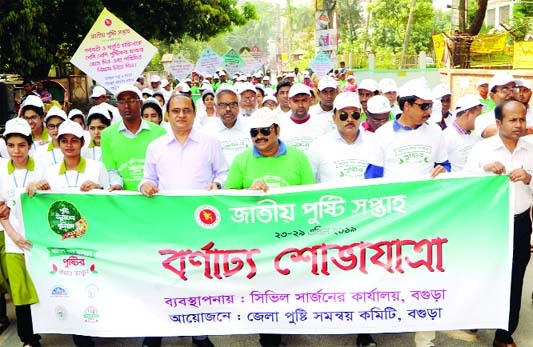 Chairperson of the school managing committee (SMC) Badruzzaman Manik presided over the function while Executive chief of Gana Unnayan Kendra (GUK) Abdus Salam, land donor Abdur Rouf Sona Prodhan, freedom fighter Abdur Razzak Sona, and guardian Alema Khatun also spoke among others. 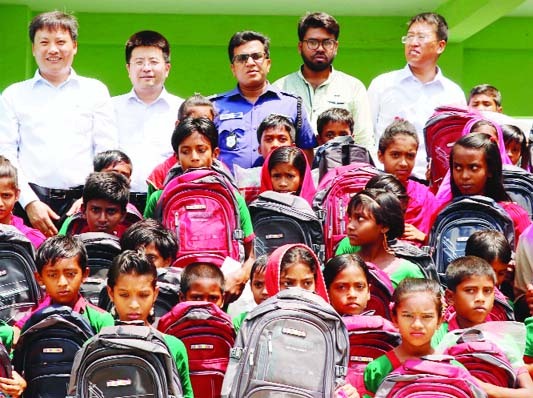 DC Abdul Matin said government led by Prime Minister Sheikh Hasina had given priority to bring all the children under education to build an enlightened nation. The DC urged the teachers to be serious and professional to turn the school into a knowledge acquiring centre so that the students would be worthy citizen of the country in a bid to face the challenges of the 21st century. Students, teachers, guardians, SMC members, local elite and NGO activists were present on the occasion, reports BSS. 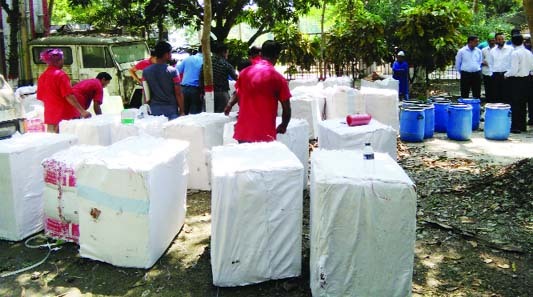 Members of Rapid Action Battalion (Rab) arrested a suspected smuggler along with smuggled goods from Ramnagar Sakin area under Kotwali thana in the town on Friday afternoon. The arrestee is Md Harun Gazi, 33, son of late Zafar Gazi, a resident of Hamidpur village in Sadar upazila. 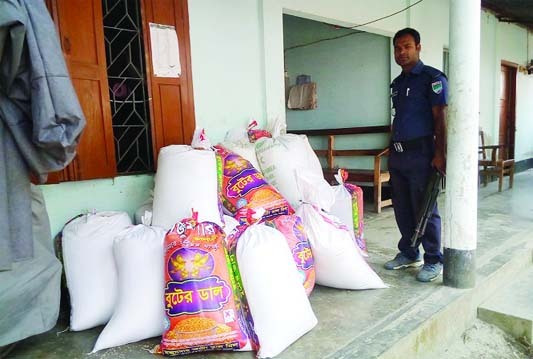 Tipped off, a team of Rab-6 conducted a drive and arrested Harun along with 348 kg tea powder, a shaallow engine run human hauler and a mobile phone set, said a press release.